Well I do not believe in ghosts. Just don't and that is despite the fact that I took a photo of a ghost or something. But like I stated already I don't believe in ghosts, or orbs & have no explanation of the FRED story at KSC. There are explanations for everything-just that I do not yet have the explanation for a few oddities. 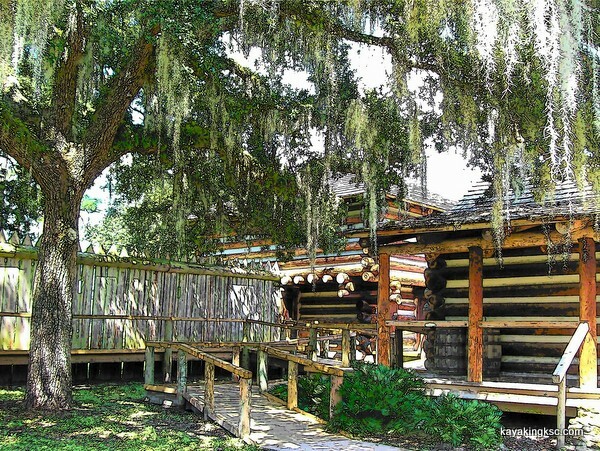 Fort Christmas a few miles west of Kennedy Space Center is a fascinating reproduction of the Second Seminole War fort that had been originally constructed in 1838. So a couple of years ago I was attending a archeology lecture at the local college and the guest speaker introduced a minor celebrity who (serendipity?) just happened to be sitting next to me in the audience. He was the museum curator at the local Fort Christmas Park. 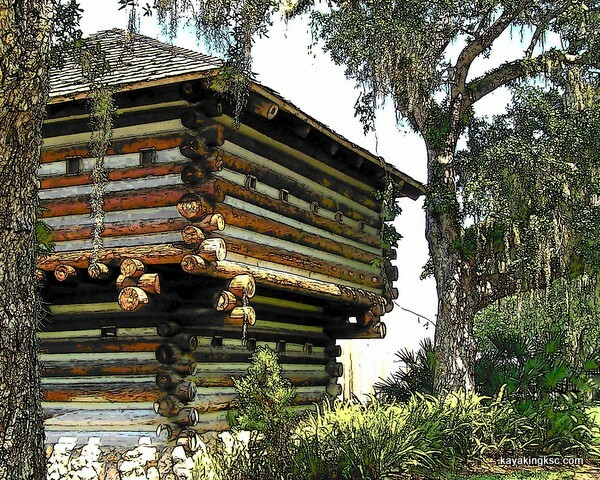 Fort Christmas a few miles due west of Kennedy Space Center is a fascinating reproduction of the Second Seminole War fort that had been originally constructed in 1838. 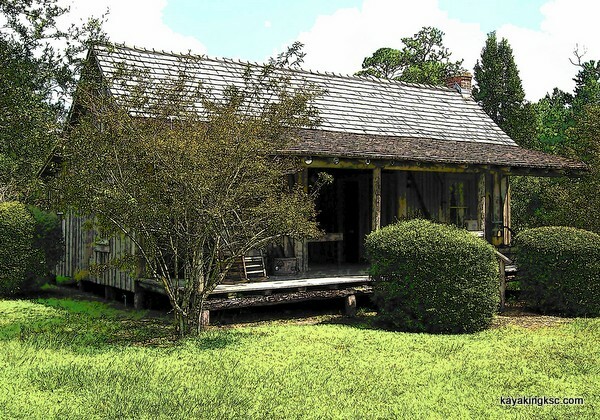 For the past 30+ years; old Florida homesteads have been purchased, relocated to the park and stocked with household goods that would have been used to settle Florida after the Great War of Northern Aggression. The result is a fascinating little village of Cracker houses-a visual representation of Florida's past. I exchanged greetings with the museum curator. He was very gracious and I rather impishly confided that I had taken a photo of a ghost at his museum. Impish is the word I chose because I don't believe in ghosts despite my photo. A wave of (choose one) dismay, disgust, disappointment washed across his friendly features for I had just moved from the category of amateur historian and placed myself into the category of "those people"
Anyway after the lecture ended and I was at a safer speaking distance the curator opened up that his park was often inundated with unique (my word) people from Orlando and other parts of central Florida. -this surprised me, for I had no idea that had been happening at the park however it made me chuckle under my breath because I had photo. A rather odd picture. 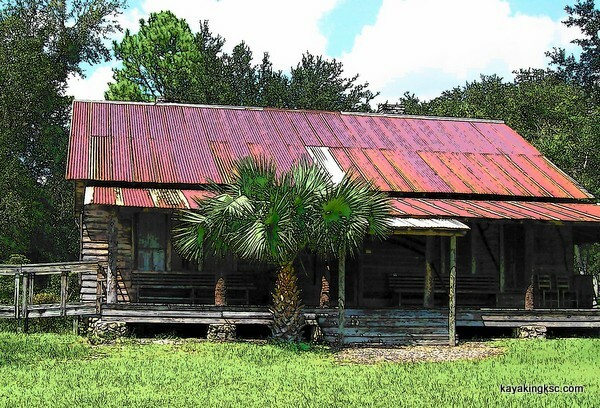 A marvelous collection of old Florida Cracker houses! Any about my photo: No explanation why. It just is. The story: Mid Florida summer hot and sticky-far too hot to kayak or do anything and so we took a ride to Fort Christmas. I grabbed my point and shoot camera. We lived close enough that I could return to the park anytime with my good cameras. 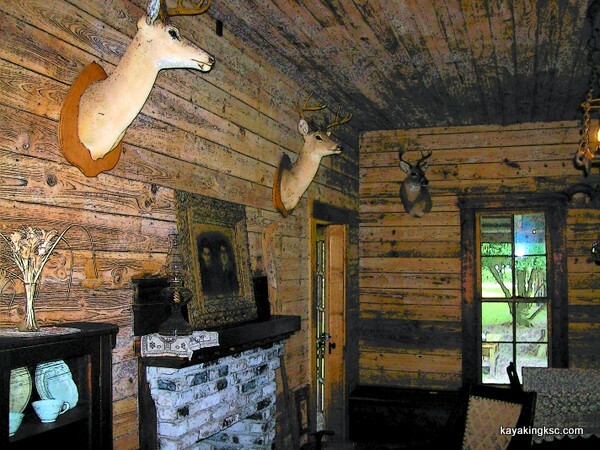 As I walked through this old Florida cracker home I noticed how cold the interior was and commented to myself what a great design the old timers has created-to keep the house cool despite the blistering Florida summer sun. 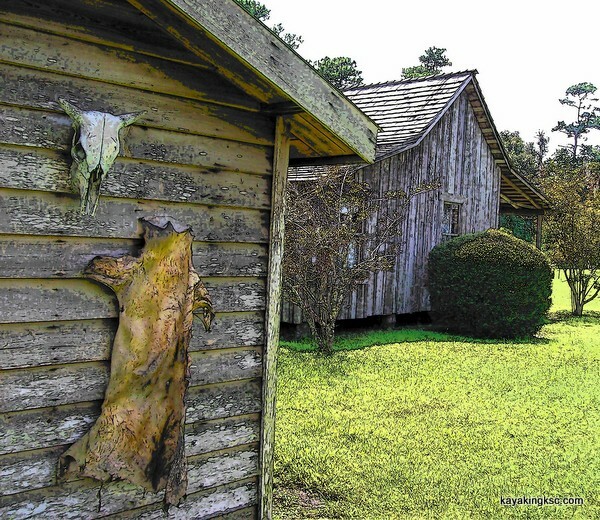 My wife joined me and we explored the collection of old homes and I took about fifty pictures. When we arrived home it was still hot outside so I loaded the photos on my computer and began to review them. Average photos to enjoy but delete at the end of the weekend. This room had been so cold I was impressed! I had scanned about two dozen when my subconscious began to scream at me -something was wrong about a photo. I had to back up four pictures to find that Wrong photo. From the internet: In psychology, the subconscious is the part of consciousness that is not currently in focal awareness. The word "subconscious" represents an anglicized version of the French subconscient as coined by the psychologist Pierre Janet (1859-1947), who argued that underneath the layers of critical-thought functions of the conscious mind lay a powerful awareness that he called the subconscious mind. Something was wrong with the picture although I could not quite place the wrongness. Finally I figured it out and began to laugh! The porch photo that I quickly viewed and moved on to the next picture. However my my subconscious or reptile part of my brain made me return and study the porch. I would hazard a guess that most folks who look at this photo do not see anything wrong. 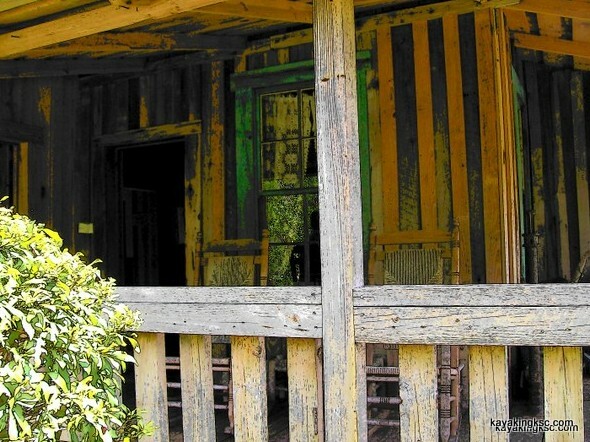 In the picture was a quaint little front porch of one of the houses with a glass window and a rocking chair. The problem was in the photo the rocking chair was empty. 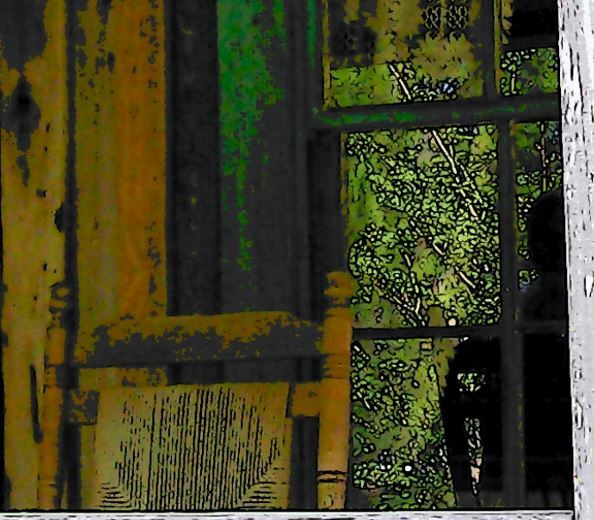 However in the window reflection of the rocking chair---the chair is occupied! I enlarged the photo to full capacity. And indeed in the reflection is the chair and the shrubbery ....and what appears to be the back of the head of the chairs occupant. Close up of the reflection. Rocking chair, shrubbery and the occupant. 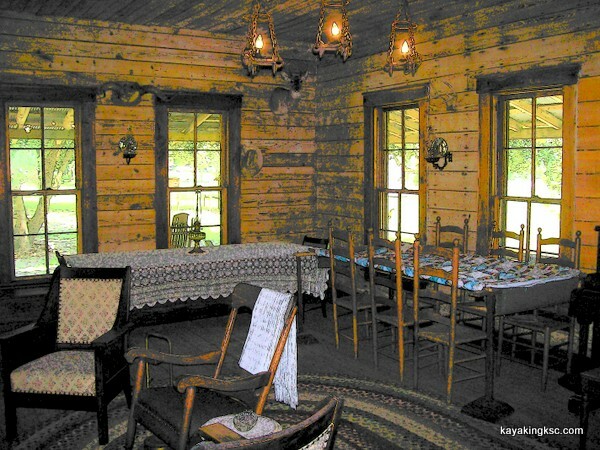 And of course the empty rocking chair......? The same snip but using the computer program to increase the lighting in the photo. Interesting results: Almost as if there is a shirt in the photo. Don't really want to give it (him? 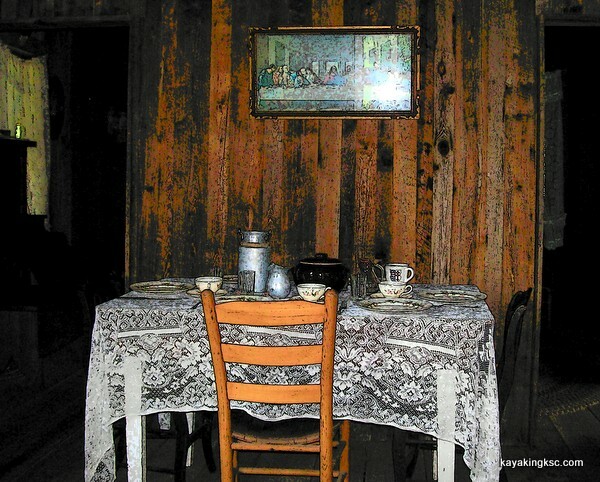 It feels like a "him") -the chair's occupant a name of ghost or spirit. Mostly because every thing has a logical explanation. So I studied the picture very carefully. **Sure in the photo there is a reflection in the window. 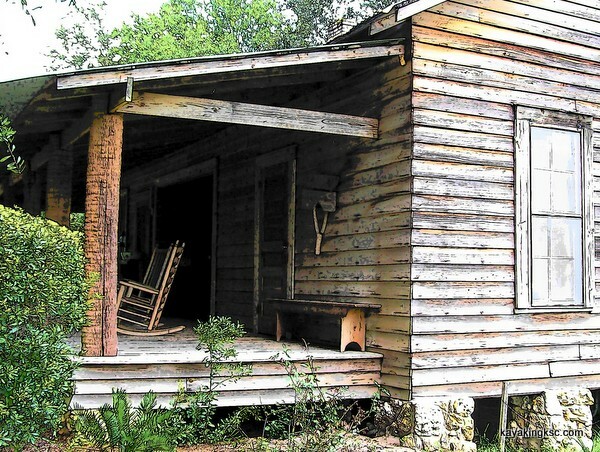 **And the rocking chair on the porch is empty. That is fact. And I have attempted many scenarios to gain a understanding of how this particular reflection/refraction came to be. 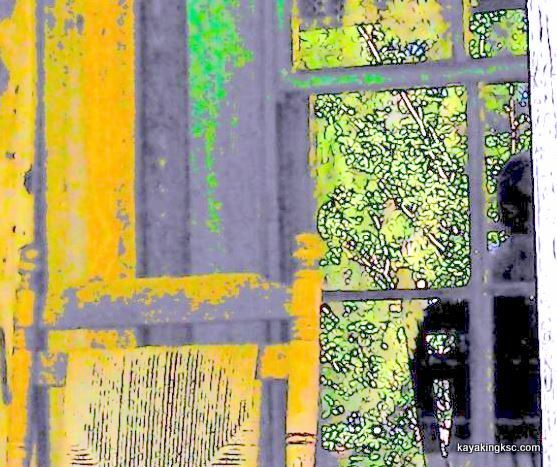 Where would an actual (live) person have to be standing to be viewed in the window pane to be sitting in the chair? What angle? Note: We were the only two visitors that afternoon. So there were not any people around.....but. Like I said, I laughed. There is no explanation. In conclusion, I have not been back, have not returned to the old houses. Not Yet. Not really any interest in the photos of Fort Christmas and also I don't believe in ghosts so I have not attempted to re-create that particular photo. -Perhaps I fear the success of such a picture & truthfully I'm just too busy. Fort Christmas is for me something reserved for hot sticky summer days. And a good laugh at an unexplained mystery.